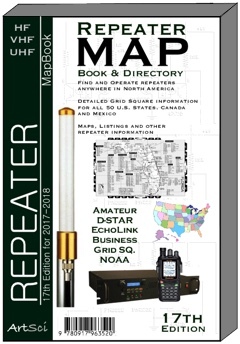 The Artsci Repeater Mapbook contains locations of thousands upon thousands of open repeaters throughout the U.S., Canada and Mexico. These DETAILED maps show all highways and major cities in each state. A PERFECT travelling companion.